According to The Telegraph article The most common New Year’s Resolutions and How to stick to them, getting healthy is the top new year’s resolution for people across the globe, with “…exercising more, losing weight, eating more healthily and taking a more active approach the health” listed as the top 4. In fact, NBC News reports that America’s obesity epidemic is rising at an alarming rate, with a recent study stating “…almost 40 percent of American adults and nearly 20 percent of adolescents are obese — the highest rates ever recorded for the U.S.” making the desire to get healthy a top priority for people living within the states. These 3 simple tips can help. By getting your home organized, you can create an environment that supports your healthy lifestyle. That not only means clearing your pantry of unhealthy and processed foods, but getting rid of belongings and items you no longer need. Clutter within your home leads to stress. And stress? Stress leads to unhealthy eating and behavioral patterns. Notice a cycle? In US News’ article, Why Decluttering is Good For Your Health, professional organizer Angela Betancourt states “…her clients typically experience less stress and anxiety, more inner peace and self-confidence, stronger decision-making skills and improved health habits…” once they de-clutter their home. So, if you are looking to improve your physical health, clearing out your home is a natural place to start. Setting up meals and snacks that you will eat each day in advance will help you avoid unhealthy choices. With Clean Eating Magazine stating “…meal plans take the guesswork out of mealtime and keep your clean eating diet on track” it’s no wonder more and more people are taking advantage of this easy solution. There are a plethora of websites and resources available to help you determine a plan that works for your specific needs. What’s great is when you meal plan, you not only approach your meals from a position of strength, but you place yourself in a better financial position (another stress trigger) by budgeting for your groceries as well! This one is a no-brainer, but probably the most difficult to stick to. Rather than limiting your workout time to long sessions at the gym, consider incorporating exercise into your everyday routine. 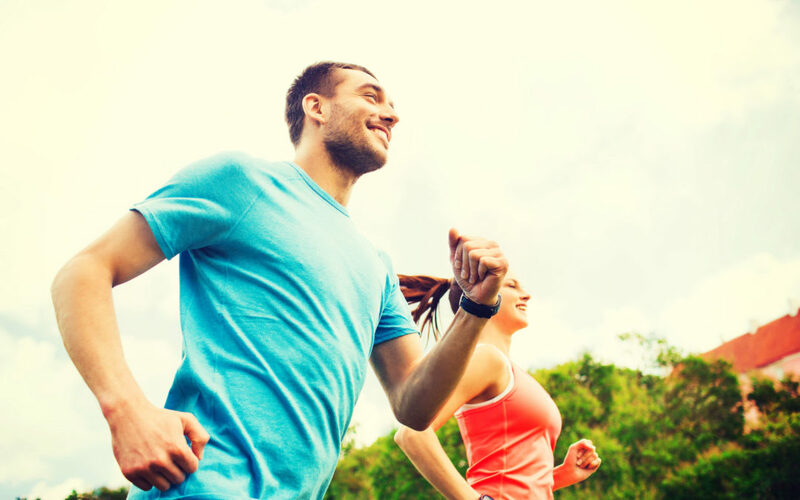 Healthline argues in Are 5-Minute Daily Workout Routines Really Beneficial? that “…shorter, high-intensity exercises” are beneficial since studies find “…little bits and pieces of exercise you do throughout the day can add up to something big. In fact, even a single ‘brisk’ minute of moving can have a noticeable impact.” So, do some cardio during commercial breaks or take a brisk walk instead of that short drive. The results will amaze you! By de-cluttering to maximize space within your home, creating and sticking to a meal plan, and finding ways to incorporate exercise into activities you do on daily basis, you are well on your way to a healthier you in 2019!